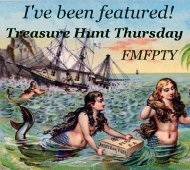 Welcome to Treasure Hunt Thursday #51! Hope everybody's week is going well. I wanted to let y'all know that from here on out I will be posting THT on Thursday mornings. I hope that that will not bother anybody and that means that the party will stay open thru Wed nights. Now lets get on to the highlights from last weeks party. Did y'all see this fabulous Ballard knockoff jug? Head over to Miss Fibbertigibbet to check it out and get tips on how to maybe even make one of your own. I love Kelly's new memo board over at Eclectically Vintage! I have really been wanting to make a pallet project and now after seeing this fabulous clock that Dusty made over at Cherish Life I really need to hunt down a pallet. Works for me! Thanks Pamela! That clock is pretty darn awesome! Thanks for hosting every week...Happy Easter! Hi Pamela, I love the new header, it's so gorgeous!! 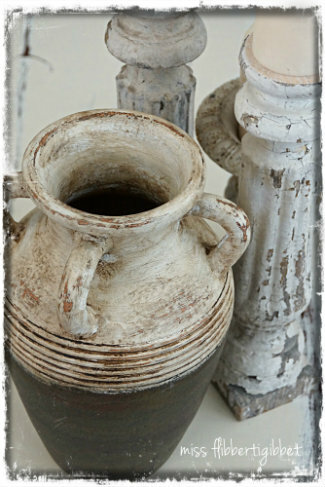 Thanks for hosting, those features are awesome - & that jug is AMAZING! Hey, Pamela! Great features! Thanks for the party! Thanks so much for the feature this week, what a wonderful surprise it was to see my clock on your post. Thanks for hosting another great party! LOVE your blog and the features every week! They truly inspire me. I've been wanting to make one of those beautiful clocks, too. Thank you for having me to your party, and have a great day! Just linked up. Love the pallet clock - I am betting you will have one on the production table soon! Great features this week Pamela! Thanks for hosting and Happy Easter to you and your family. Thanks for hosting and have a wonderful Easter! THank you for hosting! I love your pillows too from todays post! Thrifting season is still "just around the corner" in my area. Your party each week helps me get through.